The new semester has started in Munich yesterday. We are working hard to complete our Critical Design Review in the next weeks and we are looking for new members who want to support our project. 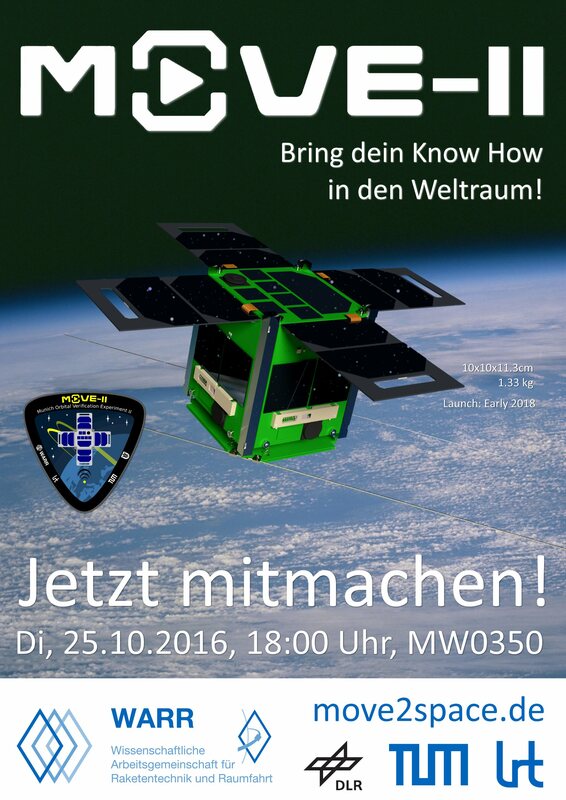 If you are a student in Munich, please come to our kickoff meeting on Tuesday, 25. Oct. in the faculty for mechanical engineering (room MW0350). See you there!